Looking for a quick, seasonal treat for your busy family? 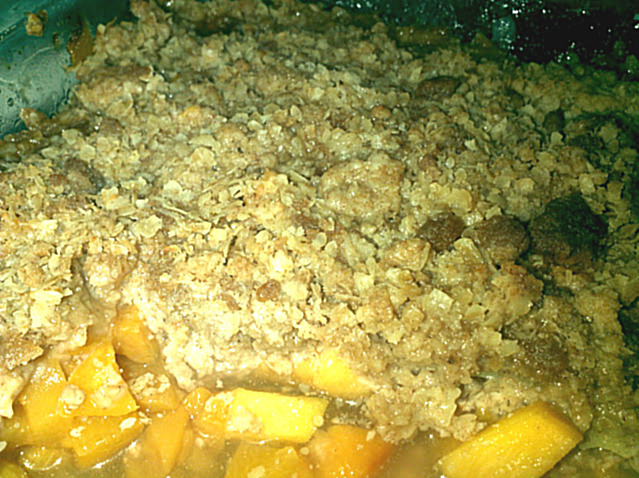 Give Peach Crisp a try! Peaches,Cinnamon & Brown Sugar are three of my favorites. Thanks for sharing I will have to try this. 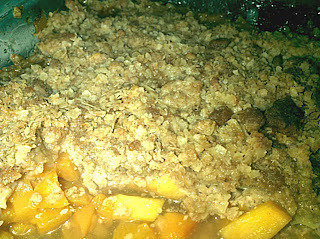 yum I am so glad you shared this I had just finished reading your post about your shopping trip and was thinking I needed to go find a peach crumble recipe!! Yummo! You should post this in my Cheater's kitchen..so easy breezy! That looks super easy and delicious to make, thank you for sharing this recipe. Can't wait to try it. 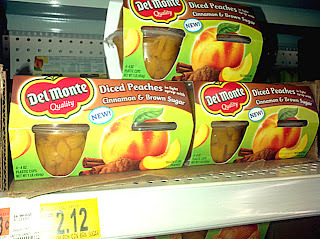 Never thought about using fruit cups to make peach cobbler. Fantastic.